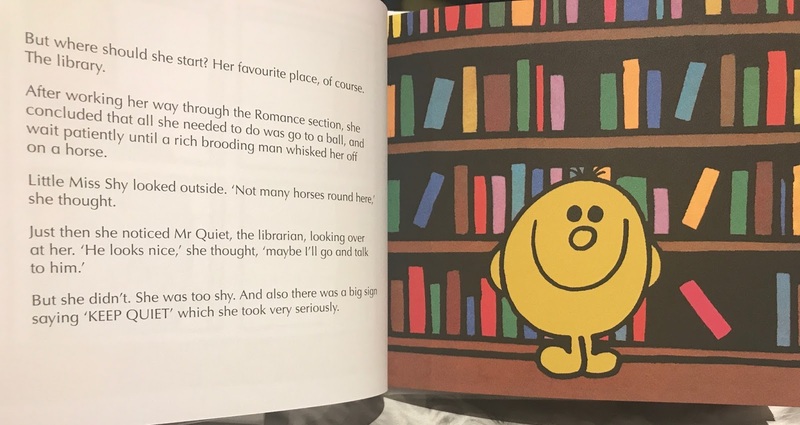 Little Miss Shy likes being single and loves nothing more than staying in with a good book. 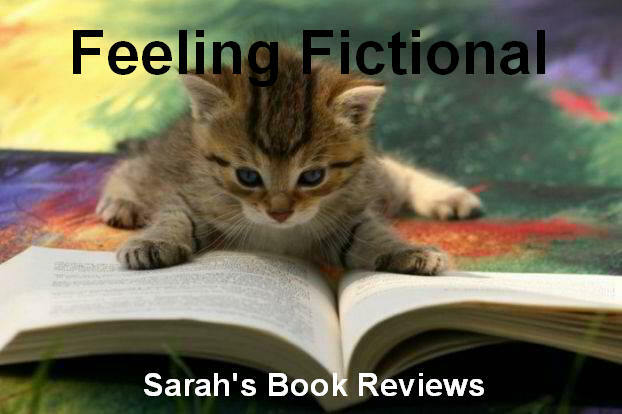 But her mother feels quite differently and she reluctantly decides to give online dating a try. 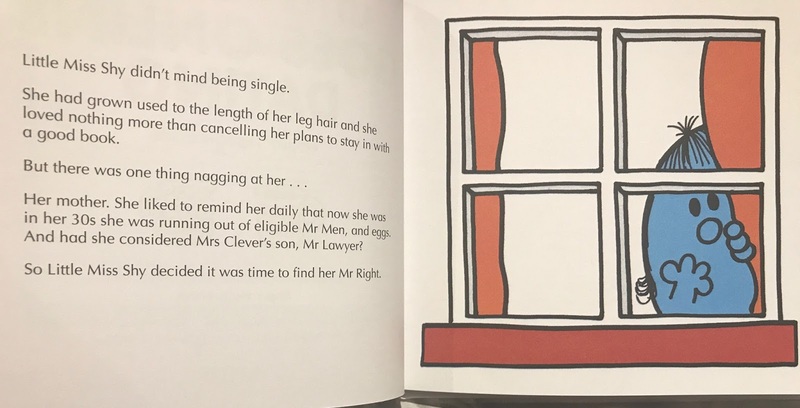 Will one of the Mr Men be her Mr Right? 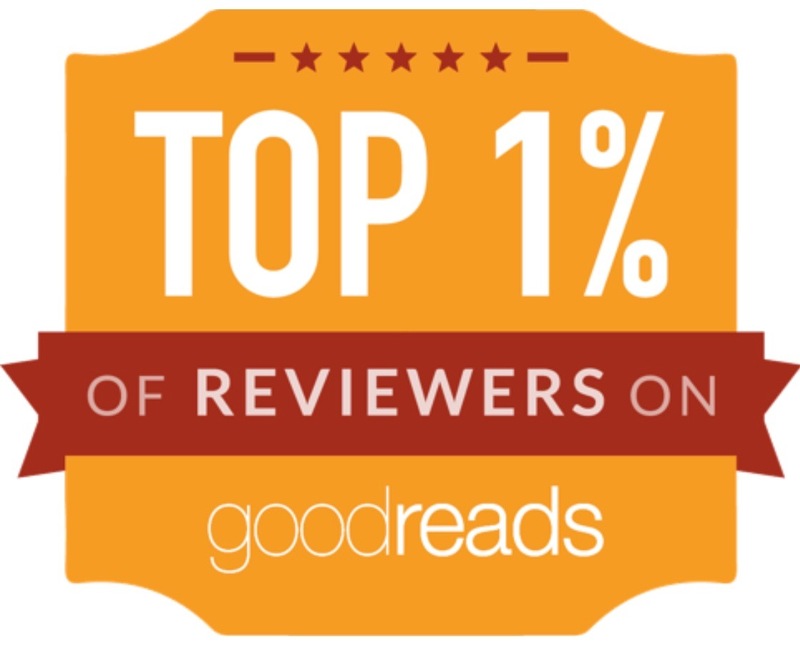 The perfect book for anyone who has ever been part of the dating pool, reluctantly or not. Mr Greedy Eats Clean to Get Lean, Little Miss Busy Surviving Motherhood and Mr Happy and the Office Party. Little Miss Shy is quite happy being single but she's getting sick of her mother nagging her to find Mr Right and start popping out grandkids so she decides it might be time to try online dating. Lots of rather awkward dates ensue until she realises that the perfect man for her might have been standing right in front of her all along. 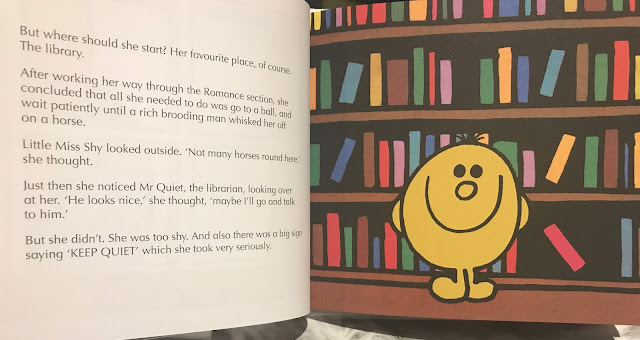 This was easily my favourite of the Mr. Men for Grown Ups series and it had me laughing out loud the whole way through, probably because Little Miss Shy matches me exactly and I've had lots of frustratingly similar conversations with my own mother about this same topic. This definitely tickled my funny bone and I've already ordered a couple of extra copies to give to friends this Christmas.